Located in the research sector and is where artifact research is conducted. Starts with two randomly generated alien artifacts each round. 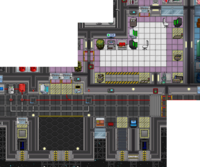 It tends to be one of the cleanest facilities on the station except for when the scientists accidentally discover an alien weapon of mass destruction. For more information, please refer to Artifact Research. 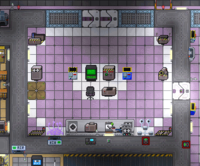 Located to the left of Chemistry and below the Robot Depot in the Research Wing, this is where artifact research is conducted. 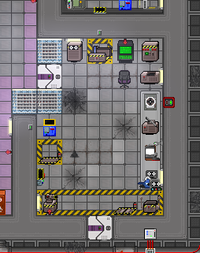 It starts with two randomly generated alien artifacts each round. 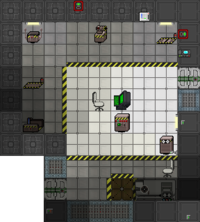 The lab also tends to be one of the cleanest facilities on the station except for when the scientists accidentally discover an alien weapon of mass destruction. This page was last modified on 19 July 2017, at 15:24.